3rd February 2017: Hat hair!! 4th: Emily cooked dinner today! Pork chops, potato wedges, vegetables, sweet potato falafel and roasted red pepper relish. Did almost everything including chopping the vegetables with Mummy’s big vegetable knife. Proud little girl, and proud Mum! 5th: happy kids at their friend’s birthday party. 6th: In sharp contrast, sad little girl at dentist today. 9th: Poorly little girl still, feeling sorry for herself, reading Narnia in bed (The Lion, the Witch and the Wardrobe, of course). 12th: Colouring-in together. Mum and daughter bonding time! 13th: A new tool to help with pain! Fingerless gloves to stop my hand stiffening up. They’ve been gorgeous today, such a help! 18th: Daniel scoring baskets at Infinite Air trampoline park, Durham. We love it here; it’s not cheap but not too bad if you go on a family session. Not all the sections are available but there’s more than enough, and they’re really good at not over-booking it. They could have fit a lot more people in but they didn’t (and it was fully booked) and there’s tons of space and never any queues. 22nd: Mum’s dog. He was posing too beautifully to miss. 5th January: Dad in hospital catching up on priorities – sport! 6th: Today’s prompt is from the #bookloversjanuary project! I am flitting this year. Today: fave title page. This book is just a work of art, the photo doesn’t do it justice. 8th: Newcastle, yesterday evening. I LOVE this church although I’ve never been in. I will one day! 11th: Getting stuck into Guitar Hero! 12th: Footprints in first dusting of snow. Friday 13th: walking home. We had a good fall of snow this morning but it was all gone by home time. 14th: Emily was asked to sort out her toys. Her solution was to just start wearing everything. 19th: After a visit to the Dental Hospital at the RVI… And they didn’t even do anything on this visit. It’s a hard life. 20th: All Saints’ Church, Lanchester. No post-processing. Lanchester wasn’t my childhood village, but I did go to both primary school and secondary school here so it’s full of memories and places with strong associations. This church makes me think of the best friend I had all through secondary school. She was a bellringer here (which leads on to memories of GCSE English presentations, in the rabbit-hole manner of memory paths) and her mum was married here when we were in Sixth Form. 25th: In-laws around for Sunday dinner; the Yorkshire puddings are threatening to come out of the oven to meet us! I’ve totally cracked these now, after years of trying. 27th: my Mother-in-Law’s birthday. Happy birthday Karen! 28th At Durham University library for a day of study. My first masters assignment is almost due!! My actual institution is Nottingham but that’s a slight problem, being 200-odd miles away. 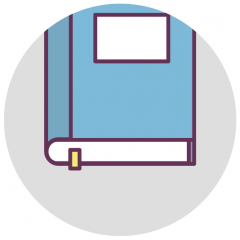 In comes SCONUL – I discovered this programme which lets you access partner insitution libraries (which includes most UK universities) on my undergraduate degree, but the OU undergraduate materials are fairly self-contained and I didn’t use it much. At Master’s level, you really need a huge resource, easily accessible and well-stocked. I’m lucky to live around 10 minutes’ drive from Durham, which being such a prestigious university has a brilliant library. The only real downside is the fact that you can’t bring a coffee to your desk (understandable, but, y’know. Meh.) and the parking which is pretty non-existent as far as I can see unless you’re a member of staff. Anyway, SCONUL is an absolute must, especially for distance-learners. 30th: morning walk. Between Sacriston and Nettlesworth. Another from the walk. Appropriately blue.